You have to go out and keep adding to your understanding and feeling. that’s the only way to develop. I don’t think there are any shortcuts. It gets burned into you, if there is a real need. 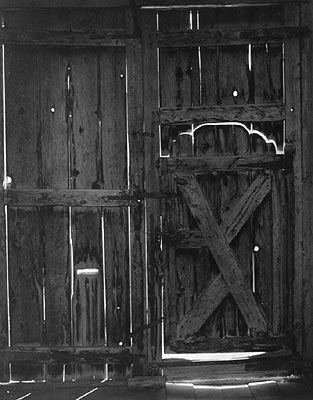 Todd Webb first picked up a camera in the late 1930’s. He had thoughts of becoming a travel writer and lecturer using a camera to record his journeys. His interest and love for photography soon crowded out his writing ambitions, and he was able to do the two things he loved the most: travel, meet people, and photograph them. 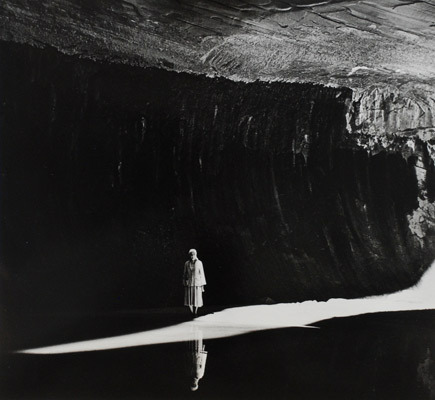 After World War II Todd Webb worked for Roy Stryker, then director of documentary photography for Standard Oil. In l946 Todd Webb photographed extensively in New York. 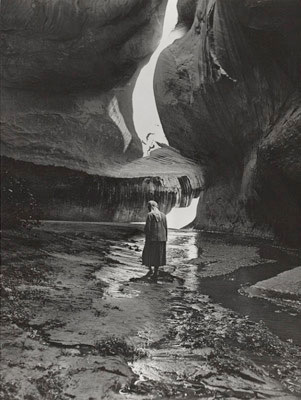 Alfred Stieglitz introduced Webb to Beaumont Newhall, and later in l946 Beaumont Newhall curated an exhibition of Todd Webb’s photographs for The Museum of The City of New York. In l949 Todd Webb returned to Paris, met his wife Lucille, and stayed in France for the next four years. In l955 and l956 Todd Webb was awarded a John Simon Guggenheim fellowship to photograph the emigrant trails that the early settlers followed to Oregon and California. 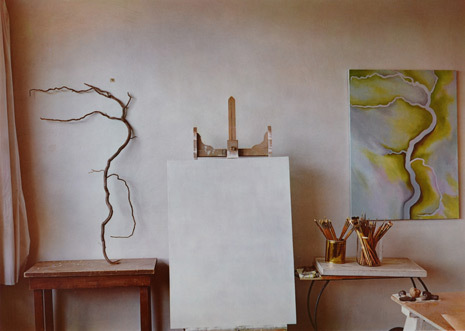 In 1961 Todd and Lucille moved to Santa Fe, New Mexico, where Georgia O’Keeffe, who they had met along with Alfred Stieglitz in l946, helped get them settled. They opened a bookstore on Canyon Road, and were an integral part of the art community. It was at this time that Webb photographed Georgia O’Keeffe and her home. In 1978 Todd received a grant from the National Endowment for the Arts. When another photographer commented that the endowment was supposed to support new work by emerging artists, Todd used the money to print a large volume of new work. Todd Webb died in May, 2000 at the age of 94. His life was full of wonderful people and wonderful experiences. His life was like his photographs; at first they seem very simple, without obvious tricks or manipulation, but, on closer examination, they are increasingly complex and marvelously subtle. Todd Webb’s work has been exhibited both nationally and internationally. His work is included in many museum collections, including The American Embassy, Paris, France; Amon Carter Museum, Fort Worth, Texas; Bibliotecque Nationale, Paris, France; Chicago Art Institute; George Eastman House, Rochester, New York; Metropolitan Museum of Art, New York; Museum of Modern Art, Tokyo, Japan; Museum of the City of New York; New York Public Library; and The Smithsonian.